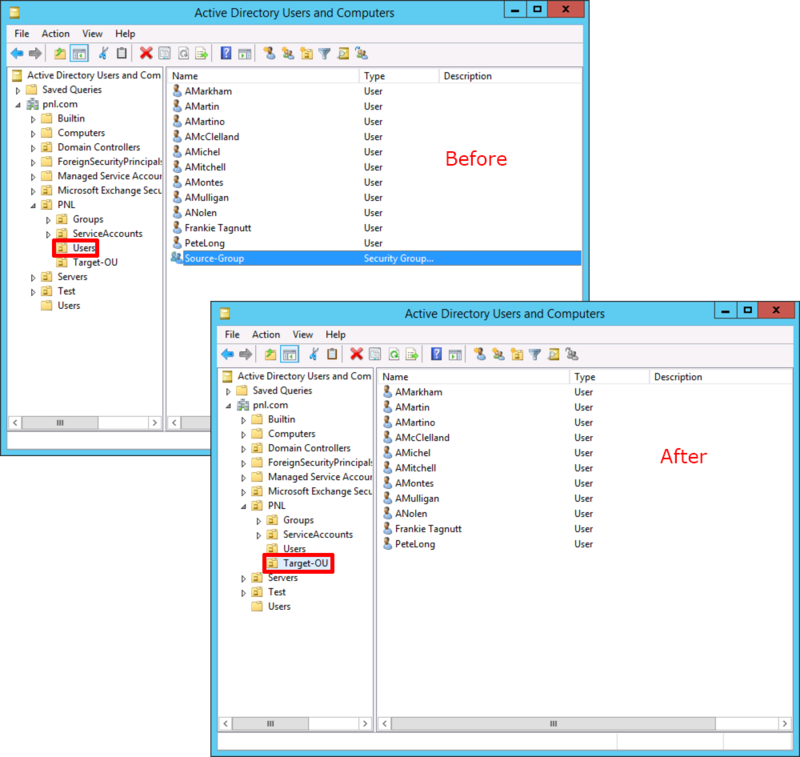 I got asked to do this at work this week, PLEASE BE AWARE, moving users about within AD may drastically change the way your ‘User Group Policies’ are being applied. So do some Group Policy Modelling beforehand, to avoid any problems. 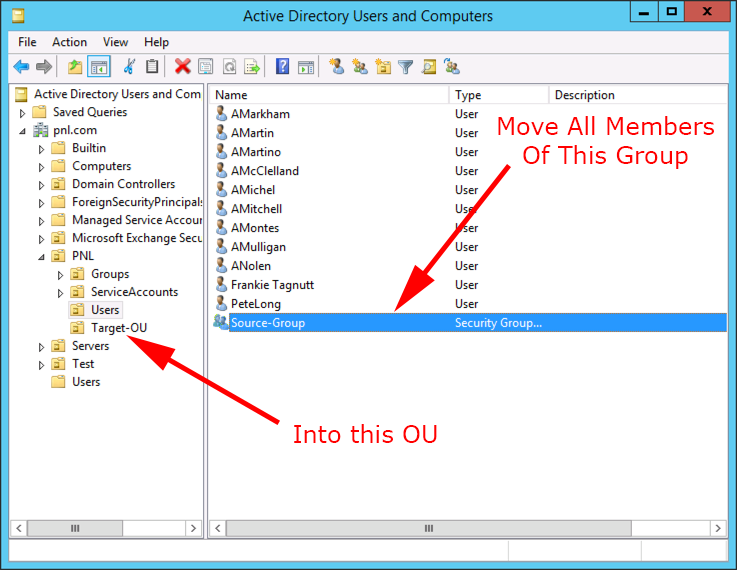 In the example above, I’ve got ten users in a security group called ‘Source-Group‘. For simplicity, they are all in the same source OU as well, (but they don’t have to be). 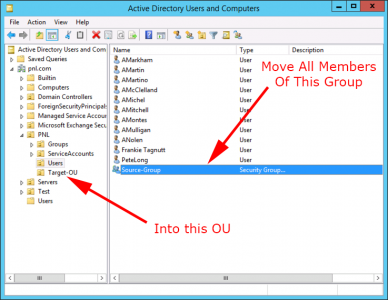 I want to move the users within the Source-Group to the OU Called Target-OU. Open an administrative PowerShell Window.